The former first lady posted a personal message that proves "why it's so important to share our stories with each other." 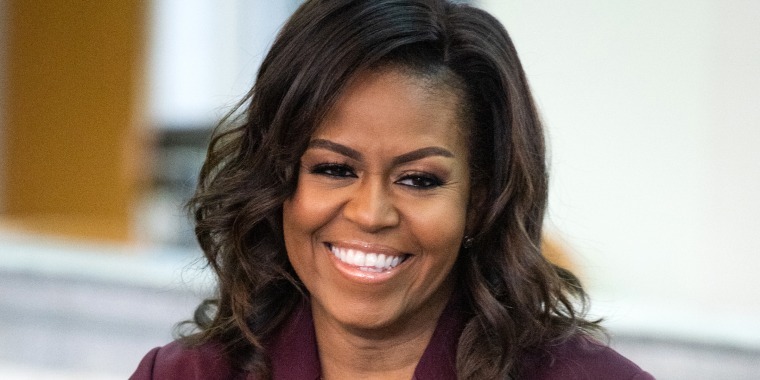 Michelle Obama's memoir, "Becoming," has sold over 10 million copies since first hitting shelves last November. Thanks to a text she received over the weekend, she may have discovered which one of her many readers is actually her book's biggest fan. On Sunday night, the former first lady shared a text she received from her brother, Craig Robinson, whose message was a bit more personal than the raves she's received about the blockbuster memoir. "As I sit listening to the words of your book for the third time albeit this time by audiobook, it occurred to me that I haven't thanked you for all your memories," the 55-year-old former college basketball coach wrote. The memories he's referring to involve an important part of their shared past. "Since I'm the one who is supposed to remember everything, I realized I have blocked out everything regarding dad's death," he explained of the subject Obama wrote about in-depth. "I was here crying and laughing at the sadness of the story and the comfort of your voice." Their father, Fraser Robinson III, died in 1991 of complications from multiple sclerosis. The disease had a formative effect on the family when the siblings were younger. As for her brother, who'd struggled to recall their father's final days, he expressed gratitude for having those memories restored. "All I can think of is how much I love my little sister," he wrote alongside a note of thanks. Obama, 55, was clearly touched by his text, and not just for what it meant to her. In the caption that accompanied her post, she highlighted the even bigger message behind it all. "I’m traveling in Europe right now for my #IAmBecoming tour and my brother just sent me one of the best texts I’ve ever received," she wrote. "My father gave us absolutely everything. The laughs and lessons, the hugs, the heartache from losing him—they’re all still there with me, every minute. Each of us has our own perspectives and emotions; our own journeys in the moment and in the years since. And that’s why it’s so important to share our stories with each other—not just to remember, but to connect. Even an ocean away." She closed with a mention of her love for her brother, which marked the second time in recent days she's talked about his important role in her life. Last week, in honor of National Siblings Day, Obama posted a photo from their youth, calling Robinson one of her best friends and praising him for always having her back.